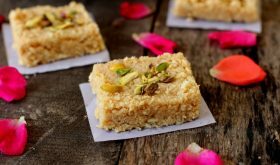 Kalakand recipe, a culinary gem among Indian dessert recipes, is prepared during festivals like diwali, holi and navratri. It is a rich, soft, crumbly, milk based fudge that literally melts in the mouth. 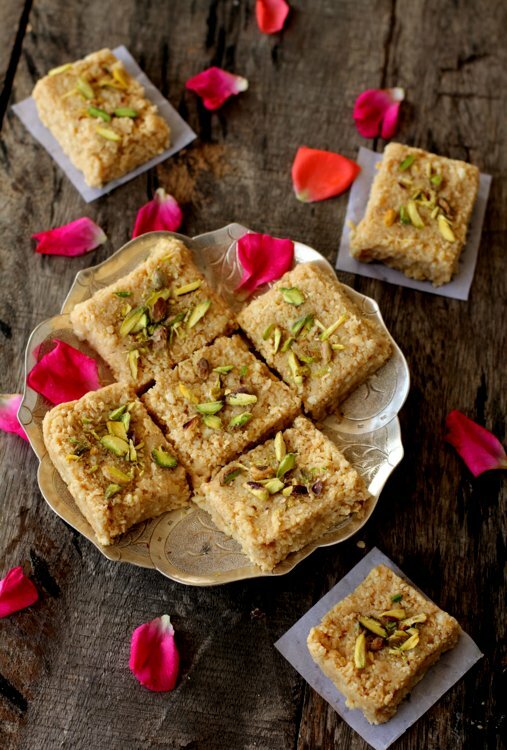 The traditional recipe of Kalakand is made with chenna (coagulated milk solids), khoya aka mawa (reduced milk), sweetened with sugar and subtly flavored with cardamom. 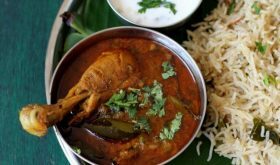 Chenna is prepared by curdling milk with an acidic medium like lemon juice, vinegar or yogurt (learn how to make chenna). 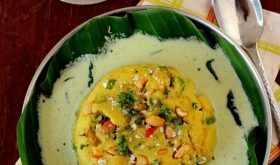 Khoya is thickened milk that is prepared by heating milk over low flame till it reduces to almost one fourth of its original quantity (learn how to make khoya). 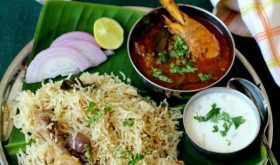 There are also quicker versions to make Kalakand using microwave or stove top with condensed milk and grated paneer or ricotta cheese. 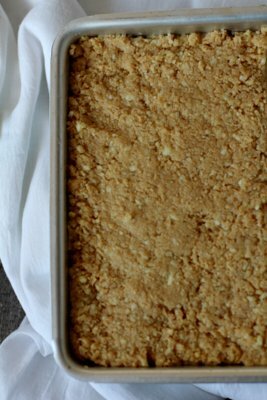 To prepare kalakand from scratch, chenna and khoya are cooked over low flame along with sugar to form a thick mixture which is then allowed to set for a few minutes. Once set, square slices are cut and garnished with nuts like pistachio or almonds. 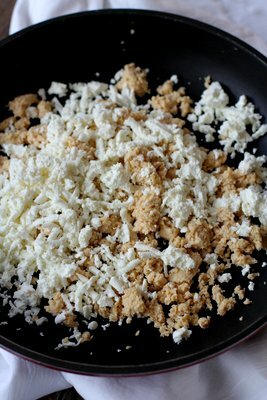 Crumble the khoya and chenna in a non stick pan and cook on low flame. 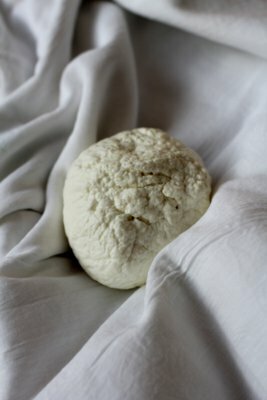 It will become soft. Keep stirring it for 10-15 mts. Add ghee, powdered sugar and cardamom powder and keep mixing till it is well combined. Cook for another 15 mts. Keep stirring vigorously till it leaves the sides of the pan. 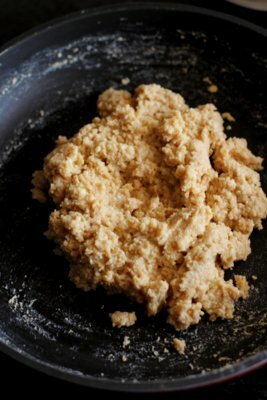 Add another tbsp of ghee and mix. 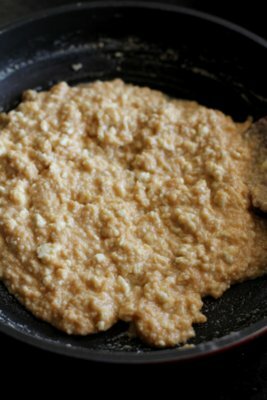 Turn off flame and pour it into a greased shallow dish and flatten it to 3/4" thickness with the help of a greased ladle. Garnish with slivered nuts and set for half an hour at room temperature. Cut into squares and serve. Shelf life of kalakand is 2 to 3 days at room temperature and one week when refrigerated. 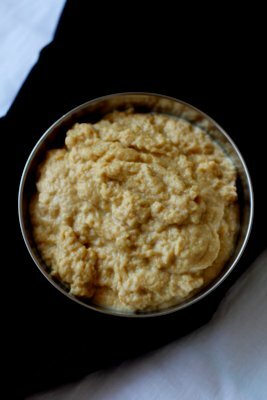 By Sailu Published: February 24, 2015 kalakand recipe using khoya. 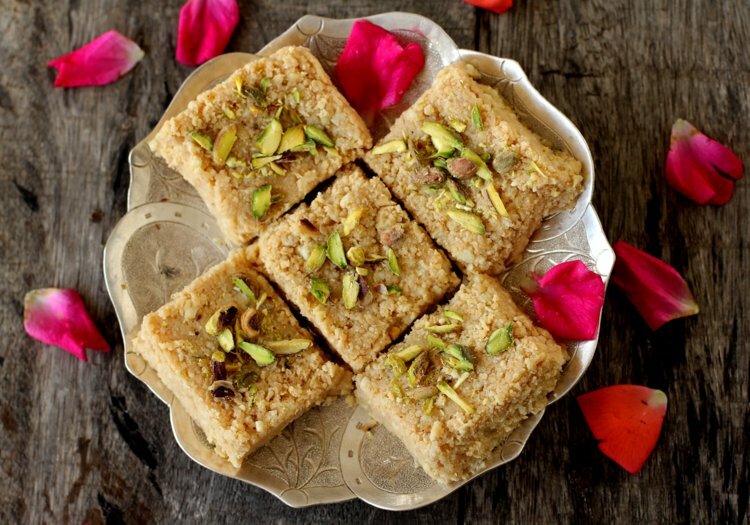 learn how to make kalakand at home step by step. 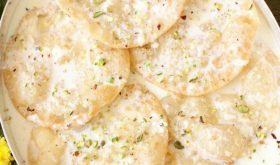 indian dessert recipes for festivals like holi,navratri. 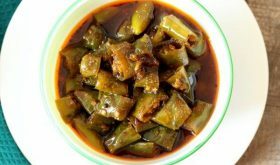 Diwali sweets recipe. Dear sailu…thanks for posting this simple step by step method.I’ve made this today for ganesh puja. It was appreciated by all.